Shanghai is often referred to as the city where the East meets the West. The booming metropolis hosts individuals from all over the world, whether they’re there for business, travel, scholarship or family. The iconic skyline across from the Bund represents modernity and progress, while temples and gardens sprinkled throughout the city retain elements of traditional Chinese culture and values. Because it offers many incredible sights and adventures, Shanghai draws many tourists year-round, making certain parts of the city crowded and congested. If you ever get the chance to visit, here a few lesser-known attractions that capture Shanghai’s uniqueness and intercultural composition. Tianzifang is a network of alleyways that you would never be able to find unless you were looking for it. Accessible by the city’s expansive metro system, you could easily spend half a day wandering through the narrow paths, looking at handmade crafts and other novelty items such as custom lipsticks, and tasting the flavors of local street food. If you’re tired after walking around, grab a seat at one of the several bars or restaurants, many of which have buy-one-get-one-free deals on cocktails and beer in the late afternoon. The Starbucks Reserve Roastery opened in Shanghai in 2017, and it presents visitors with an “immersive” experience of coffee. The store contains several different coffee and tea bars and dessert stations, tables of souvenirs and gifts, and a 40-ton copper cask that stores coffee beans. While the franchise represents a shift away from the traditional tea-drinking culture in China, the store still pays homage to its hosts’ roots with doors designed to resemble ancient temples. The best time to visit the roastery to avoid crowds and long lines is in the late evening. 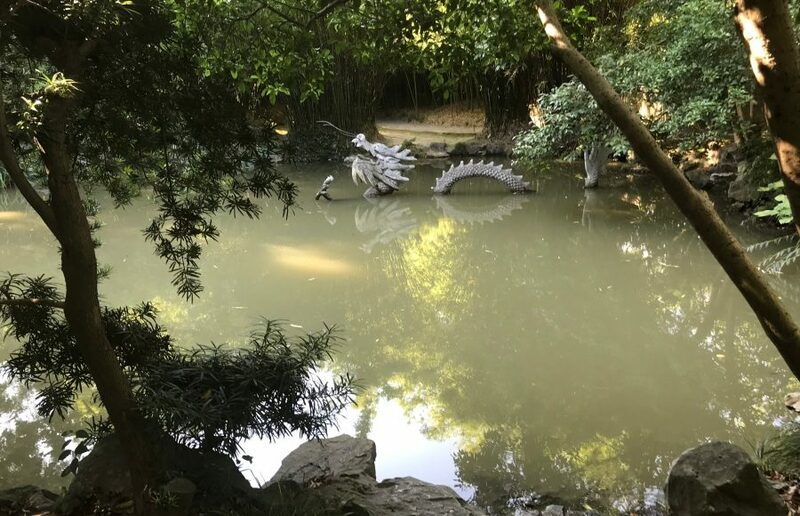 Jiading is located on the outskirts of the city, about 45 minutes away from downtown via metro — making it a quieter, more secluded place to spend the day. One of the best-preserved Confucian temples is located here, so you can walk around and learn about ancient Chinese history and ideology. The neighboring Huilongtan Park showcases the beauty of Chinese landscape design, with stone pathways winding through greenery and water features. For lunch, make your way to the pedestrian-only Old Street for authentic dishes such as hand-pulled noodles. The water canals that run adjacent to the walking streets provide a tranquil backdrop for moseying around and eating. Many people aren’t aware that the city of Shanghai played host to more than 20,000 Jewish refugees during World War II. This museum located in the Hongkou District was once the Ohel Moshe Synagogue, and it offers insight into Jewish life in Shanghai during the Holocaust and explores the inspiring relationships that were built between the locals and the refugees. After you visit the museum, you can walk around the surrounding streets and alleys where many of the refugees settled and try to imagine what life might have been like for them 70 years ago. “The Friends Cafe,” located on a quiet, secluded street in an otherwise busy district, would be impossible to find if you don’t know where to look. Put in 160 Ha’erbin Rd. into your map, and you’ll be taken to a little café inspired by the widely loved Central Perk coffee shop from “Friends.” The little details are truly incredible, from Hugsy sitting on the big orange couch to the menu offering a “Joey’s Special” (two pizzas, of course). With the sitcom playing on a TV in the corner, it’s easy to spend several hours here with a cup of coffee (the barista may even write in the name of your favorite character) or a refreshing iced mojito. While this is by no means an exhaustive list of all the wonders Shanghai has to offer, it’s a good place to start if you’re feeling overwhelmed by all of your options.